Jafira's thoughts- blog, journal and general ramblings. Information about Jafira's spirituality and dragons. 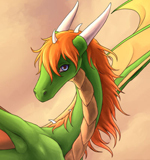 Basic Dragon Information, Topics, Mythology, Theories, Dracopedia Project, Sources and References. This section is designed to discuss ideas, concepts and speculations regarding the idea of otherkinsm. In as such, it is controversial. If you happen to be hypersensitive concerning outside beliefs or are firm and biased in other philosophies, don't bother reading this stuff if you are likely to be offended. A collection of advice letters Jafira has written in the past. Fictional story's based off the perceived history and timeline of Korageth's home world, as well as an exaggerated representation of his life and accomplishments, interactions with others of his kind and so forth. The stories of this section were written collectively around the year 2002 and were based loosely off interpretations of Korageth's perceived life, but heavily diluted with assumptions and fantasy. Although in my youth I had considered these works a literal history book of sorts, they obviously no longer match up with the perceived reality of my spirituality. Still, they can hopefully remain relevant today as a series of short fantasy stories. Jafira's Dragons Past and Present, their mixed origins as possible past incarnations and "head mates" as well as their effect on his spirituality and fictional stories. This contains a little extra information concerning the world portrayed within the above stories, it covers topics regarding my dragons and characters, the Tycosian Language, various landmarks and general information of that variety. This is my ancient poetry mostly written while in high school, I should mention that most of the poetry may be fairly odd, representative of my early awakening stages when I had a lesser understanding of myself or my perceived understanding of my draconity. Overall I am greatly embarrassed by these ancient writings and tend not to discuss them much. But for the purpose of disclosure, as well, as a desire not to censor my past or forget where it is I came from, both literary and otherwise, I have kept these available.